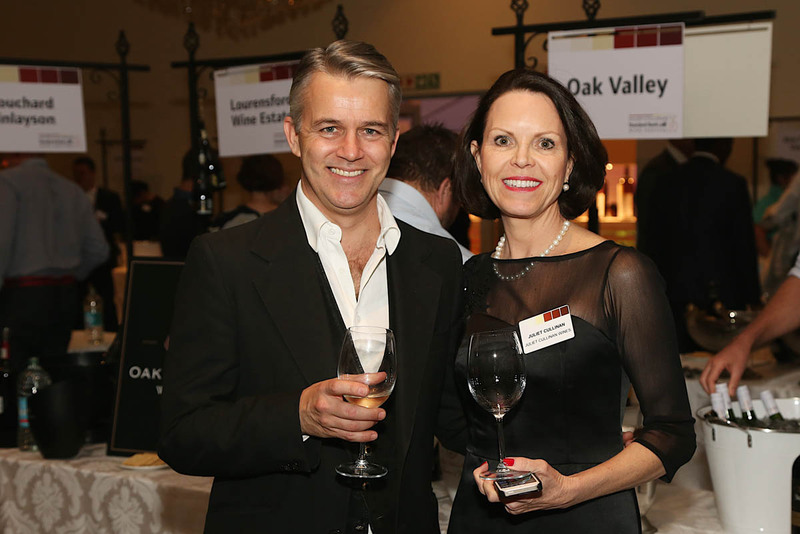 Wine evangelist, devoted epicurean, Cordon Bleu chef, consultant, marketer and promoter of high quality wines, aesthete, scribe, editor, and CEO of the oldest and most exclusive wine festival in South Africa. 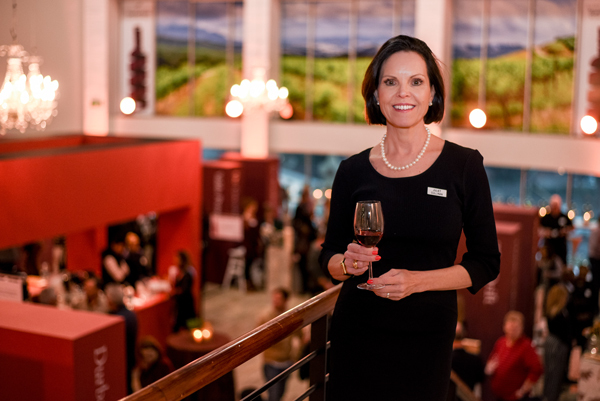 “My abiding love for unique wines and those who make them compels me to showcase the best South African vintages year after year. 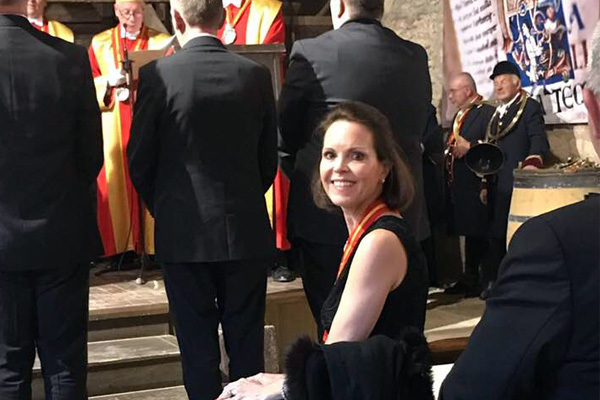 Being driven to teach the ways of the vine, the why’s of terroir, and all the nuances and traditions wines encompass, I have brought diverse elements of the wine fraternity together for more than 25 years. 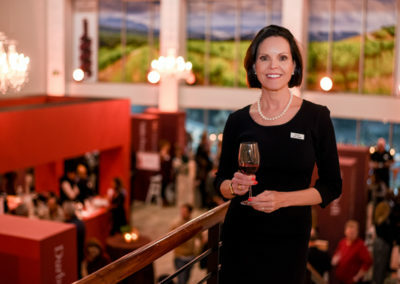 Now in its 28th year, the Juliet Cullinan Standard Bank Wine Festival is South Africa’s oldest and most prestigious wine show, promoting just 40 wine industry leaders to oenophiles and connoisseurs from around the country. 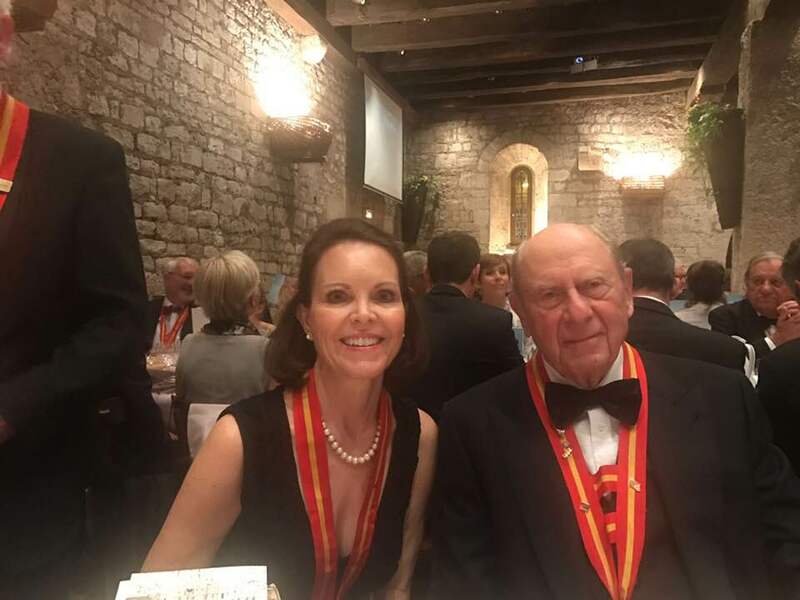 In May 2018, Juliet was inducted to the Confrérie des Chevaliers du Tastevin – “Fraternity of Knights of the Wine-Tasting Cup” – is an exclusive Bacchanalian fraternity, founded in 1934. 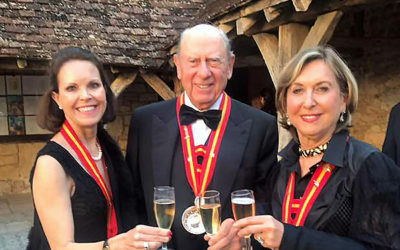 The celebrated events are held in the 12th century Château of Clos de Vougeot in the Côte d’Or region of Burgundy, France. 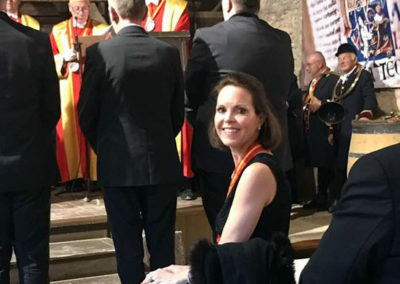 Juliet was inducted into the Ordre des Côteaux de Champagne and La Confrérie de la Chaîne des Rôtisseurs in 2007. 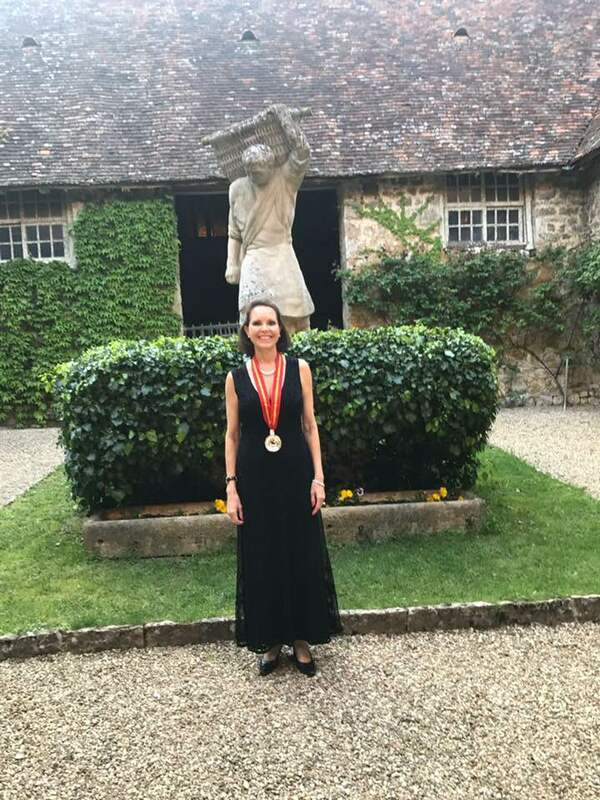 Graduated from L’Institut International des Vins et Spiriteux in Bordeaux, KWV and Cape Wine Academy in Johannesburg, the British Wine and Spirit Educational Trust and the Cordon Bleu Cookery School in London. First Google street view featuring leading SA wineries. 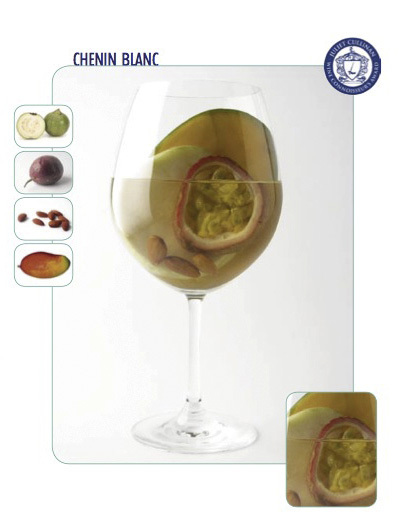 First images displaying flavours in grapes. 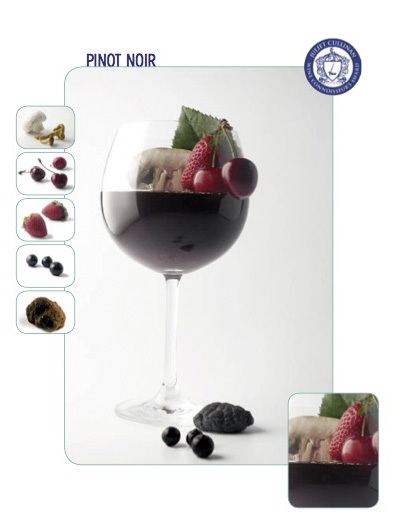 First wine shorthand to capture tasting terms in images. We explore wine through the senses using art, music, and experiences to appreciate its taste and composition. Illumination Sight – Google virtual winery tours. 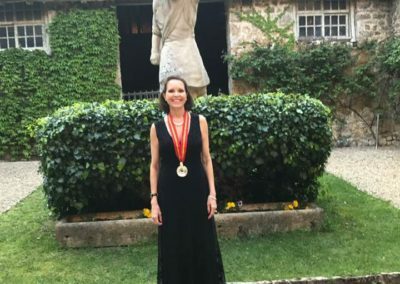 Visitors could experience the first 3D virtual winery tours in the world from the first “winery street view footage” Juliet Cullinan established with Google in 2009. 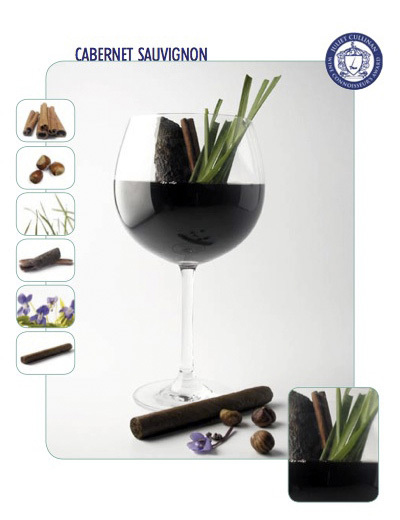 Illumination Aroma – Aromatic faults in Wine were explained by the Cape Wine Academy. Illumination Taste – Wine and Food pairing presenting Chenin blanc with passion fruit which is like a fruit salad and a match made in heaven and Merlot with passion fruit which tastes tannic, dry bitter and unappealing. 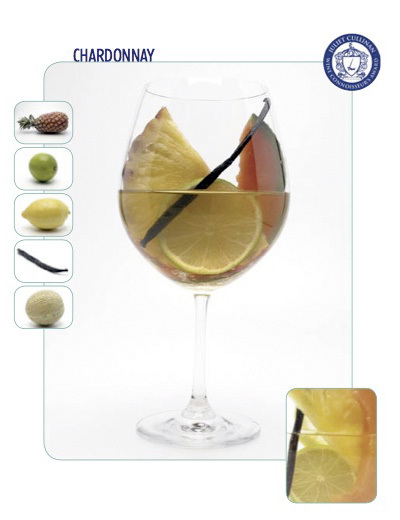 Illumination Sound – Music and wine. Guests listened to 2 instrumental music compositions while tasting wine to illustrate how the tones and beat in music change the taste of wine on your palate. 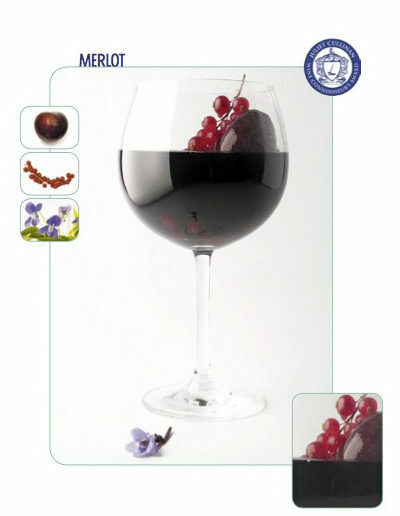 High notes played by violins or flutes will make the wine will taste more acidic. Low notes in the music will make the wine taste earthy with undertones of mushrooms and truffles. 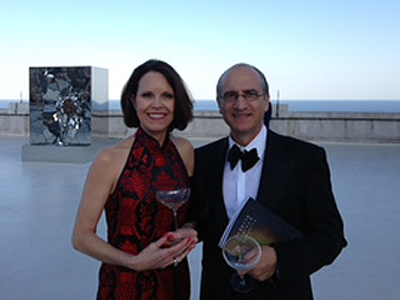 Juliet Cullinan’s expertise in wine promoting ranged from consulting for Stephan Welz Sotheby’s Auction House in Johannesburg to inviting Edouard Malbois, visionary food and wine personality from Enivrance in Paris to Cape Town and Johannesburg.  Her passion for the vine led her to launch the Juliet Cullinan Wine Connoisseurs Awards. 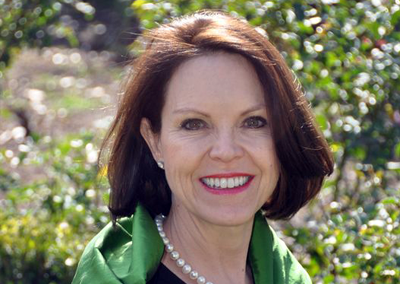 A love of food and a pioneering spirit inspired her to open a cooking school attracting a loyal following of Ladies who entertained, and Bachelors wanting to impress. The Juliet Cullinan Cookery School was fêted from Johannesburg to Cape Town. 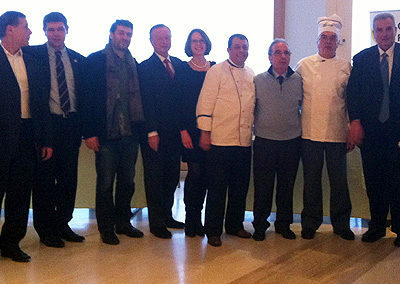 A regular speaker on the By Word of Mouth radio programme, discussions of food and wine on a local radio station. 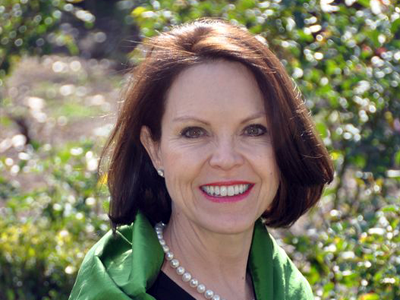 Juliet was also in demand as a freelance writer for local and international newspapers, magazines and websites. 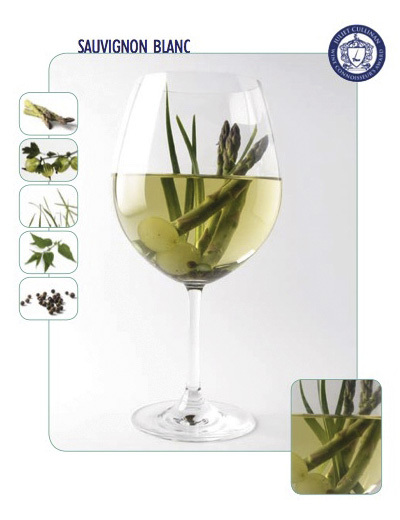 She penned the wine chapters of the book Fine food on the Highveld by Lyndall Popper. Juliet Cullinan’s passion for wine began maturing in the 1980s when she worked in KWV’s London office promoting the South African Wine Farmers Association for two years, before the office was closed down due to sanctions against South Africa. 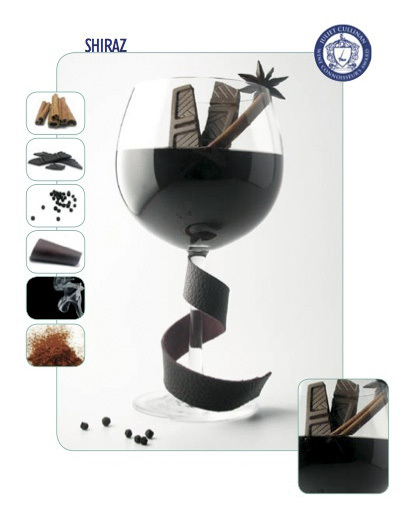 London in the eighties was an introduction to Masters of Wine, international tastings, the International Wine and Spirit wine course and wine bars. 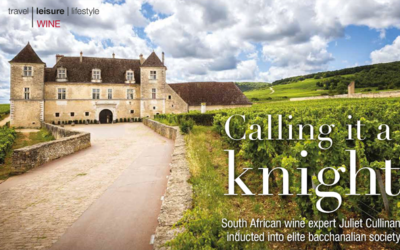 It was a short flight from France with courses in Bordeaux, flutes of Champagne in the Champagne Region, deciphering the minute vineyards and complex Appellation wine system in Burgundy, Châteaux and Chenin in the Loire and rosé on the French Riviera. 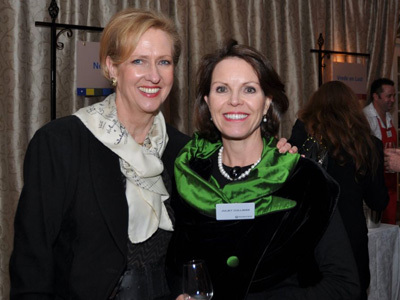 Juliet returned to SA, designed and presented the KWV International Wine Courses, followed by a year with J.M. 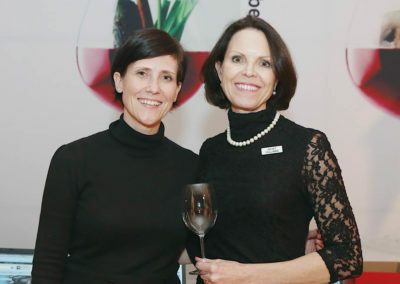 Da Fonseca in Portugal and a brief spell launching Rhebokskloof rosé before starting her own company Juliet Cullinan Wines. 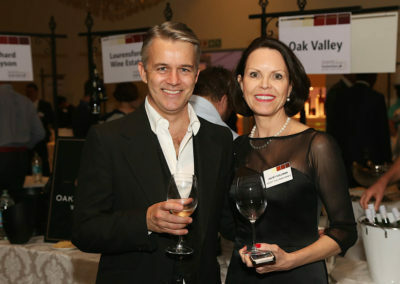 Top winning wine at the Juliet Cullinan Wine Connoisseur’s Awards, Juliet Cullinan donated an international air ticket to the wine destination of the winners’ choice for the top scoring wine during the years 2000 – 2007 and introduced the winners to wine media, public relations companies, sommeliers, and leading wineries in France and the United Kingdom to enhance their contact with the international wine fraternity. 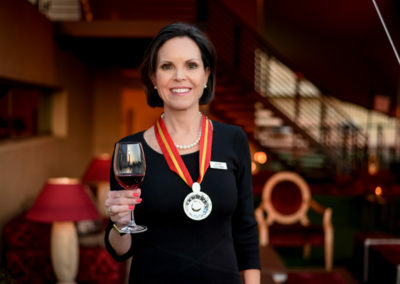 Cape Wine Master’s Bursary – Juliet Cullinan donated funds for a bursary for disadvantaged Cape Wine Master students during the years 2005 – 2007. 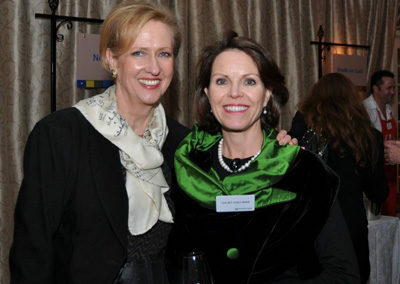 Breast Cancer Awareness – Juliet Cullinan donated funds and wines for their events to raise money against breast cancer. 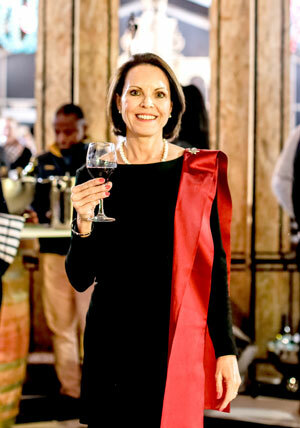 Oenophile Juliet Cullinan, founder of the Juliet Cullinan Standard Bank Wine Festival – celebrating its 28th anniversary – raises a glass to the humble beginnings of SA’s most prestigious wine event. 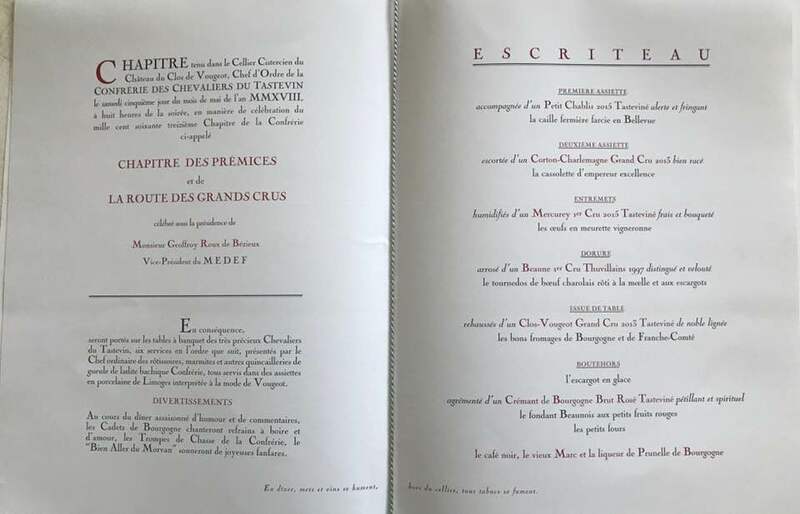 From my first mouthful of black forest cake to foie gras, my life has always been about entertaining, promoting and tasting. At two years of age I held my first magnum of Bollinger and by four, I was arranging tables and party food for my dolls. 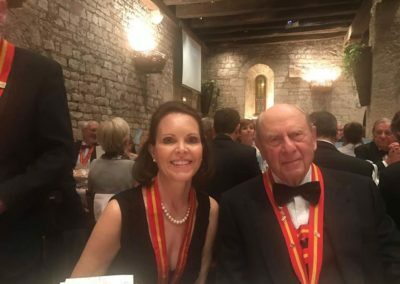 My father Neil Cullinan first taught me how to identify grape varieties and my grandfather, Ronald Osborn who took me travelling and introduced me to new cuisines. He told me that he didn’t care if I failed in life, but he did care “if I didn’t try”. Both men taught me to follow my dreams and never settle for anything less. 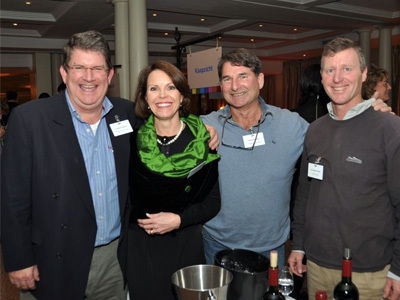 In my early twenties, I invited a few winemakers to present their flagship vintages at a private wine tasting in Hermanus,. 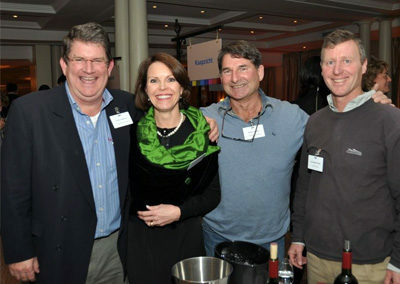 Peter Finlayson from Bouchard Finlayson, Tim Hamilton Russell, a pioneer in the Walker Bay area, Gyles Webb from Thelema, and Norma Ratcliffe from Warwick graced my event with their wonderful wines. 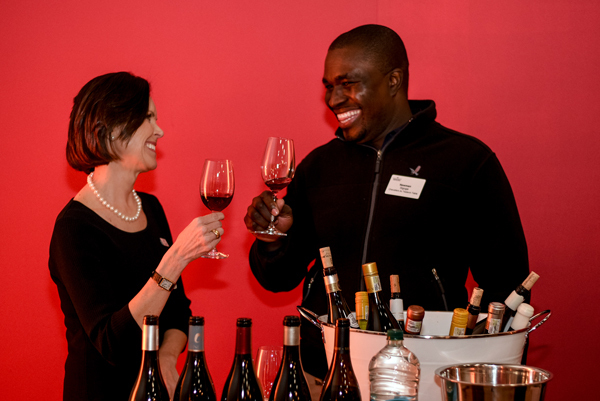 It was a huge success so I decided to launch a wine festival in Johannesburg for 25 producers. Travel was different then, and this was one of their few annual trips. The Inanda Club’s provided the debut backdrop. I remember welcoming wine lovers with a glass at the reception and introducing them to these delicious wines. 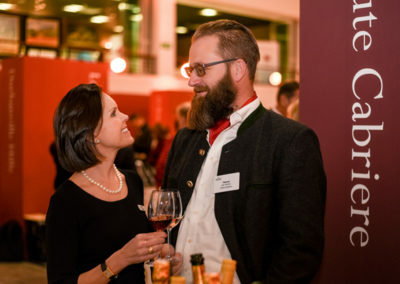 The agile late Ross Gower did flick-flacks down the centre aisle and the winemakers swopped tables, promoting competitors’ wines while they joked with guests. It was a long tiring night and as we packed up, Webb, Gower and Lowell Jooste called for a beer! 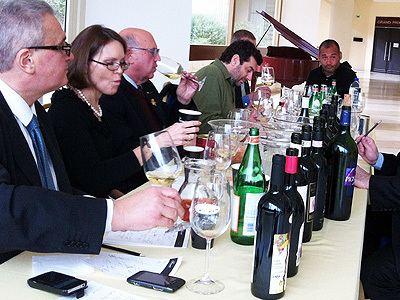 Little did I know at the time I was creating a blueprint for the oldest and most exclusive wine show in the country. Every wine on offer is hand picked, unique and internationally acclaimed. 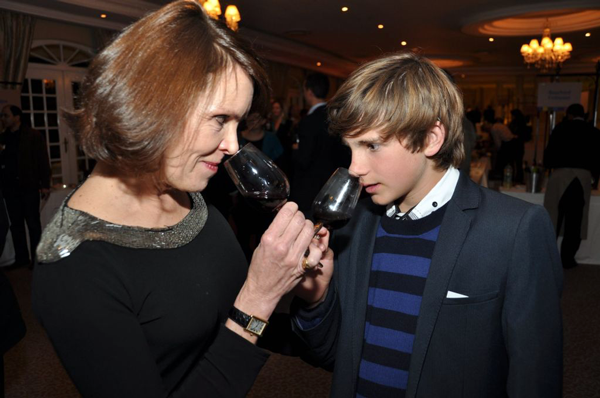 We introduce icon wineries to enthusiastic tasters. 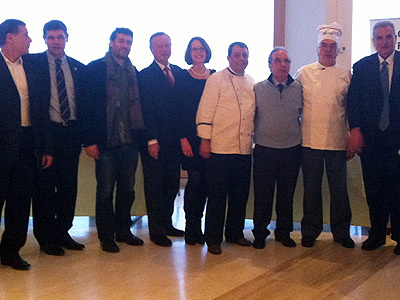 This is what makes this event so noteworthy. It has taken me from small venues to grand conference halls. 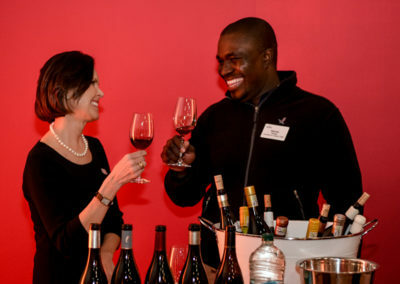 I continue to promote South African wines in England and Europe. My children have always been eager to get involved. 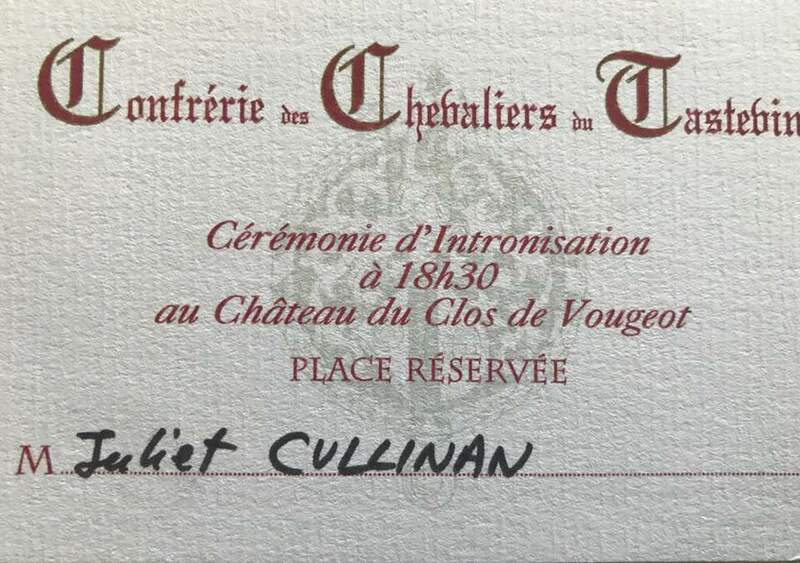 At three, my daughter Claire Cullinan Scott pronounced my name as “Juliet Cullinan Wine Fesibal” and at six, she was selling entry tickets and welcoming guests with a “do have a good tasting”. 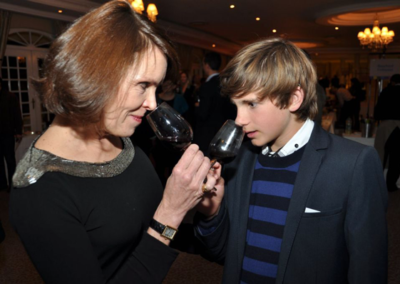 My son David Cullinan Scott loved lees contact and malolactic flavours on chardonnay. Once the winery refused to serve him, at 8 years old. “But I always spit,” he replied indignantly. My children loved the publicity and I loved having them share the event with me. The festival has taught me follow my heart and be guided by my passion. After 36 years in the wine industry, wine is both my passion and my profession. 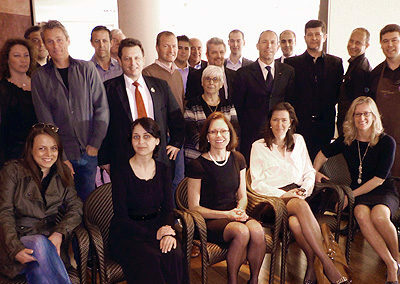 Looking back at its humble beginnings I feel very honoured to have had the loyalty and encouragement of the wine fraternity. It has been a lesson in trust. 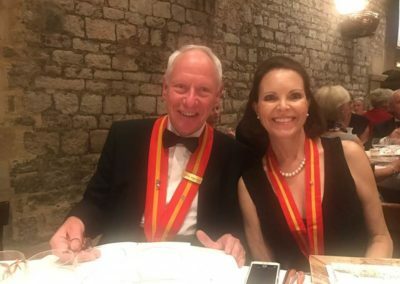 The wineries put their faith in my ability many years ago and I have introduced them to knowledgeable wine lovers and help their wines to be served in boardrooms and distinguished homes. 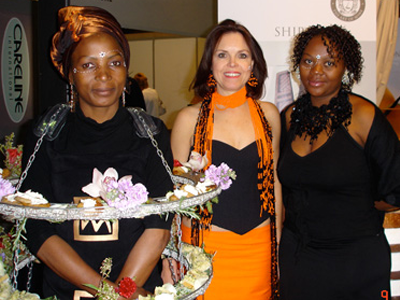 Standard Bank propelled the event to new levels with their sponsorship eighteen years ago. Its my greatest joy to see the winemakers at the festival talking animatedly to guests that have supported me all these years. 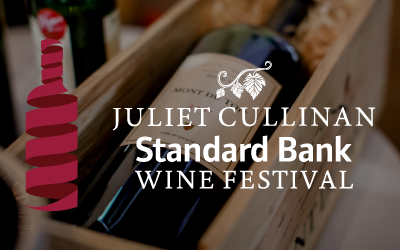 Together with Standard Bank we created a festival that has introduced the appreciation of wine to so many over the past 28 years. On the 5th May 2018, I managed to achieve one of my lifelong dreams. 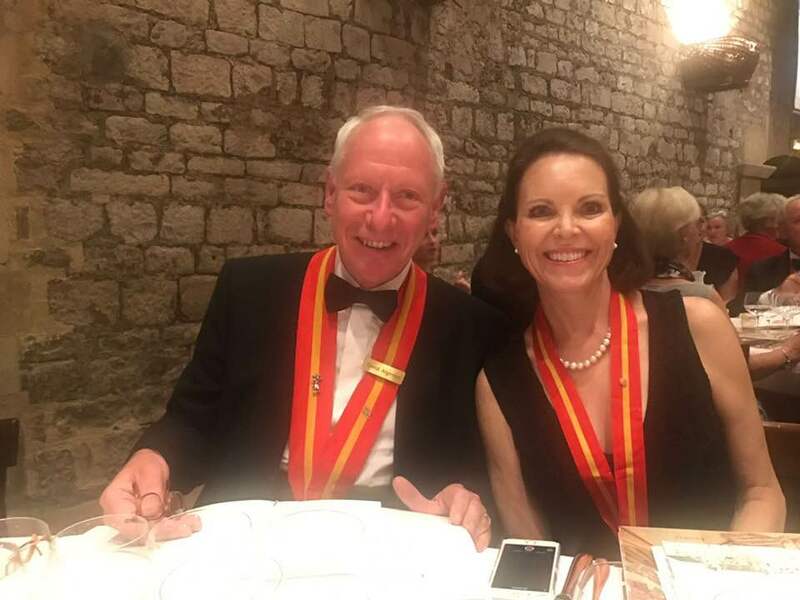 I was inducted as a member of the Chevaliers du Tastevin, the world reknowned Burgundian fraternity dating back from 1934! I am the first South African Woman to be elected. 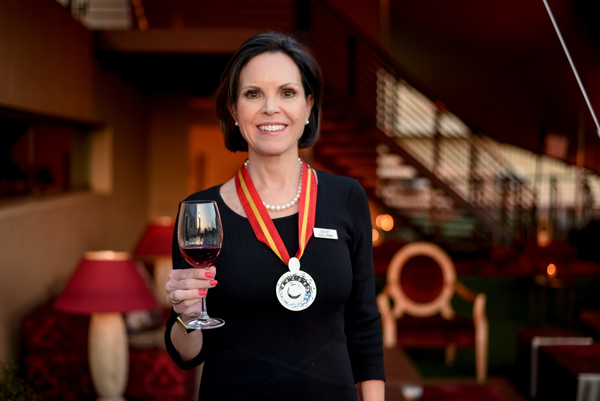 In honour of my induction to the Confrérie des Chevaliers du Tastevin in May 2018, the Juliet Cullinan Standard Bank Wine Festival will highlight the grapes Chardonnay and Pinot Noir grown in Burgundy.